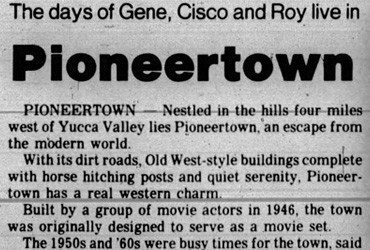 That’s why I’m irresistibly drawn to Pioneertown, a tiny desert hamlet in Southern California near Joshua Tree National Park that was created by movie cowboys in the 1940’s as a film location. Got a horse? Bring him on down. Pioneertown’s one motel, guest ranch and local roadhouse all have corrals and hitching posts. There’s even a trash bin for manure. It’s been decades since I owned a saddle, but my kids love petting the horses when we visit Pappy and Harriet’s Pioneertown Palace. These days, this funky old roadhouse with character is more likely to contain bikers than cowboys, but it’s fun nonetheless. 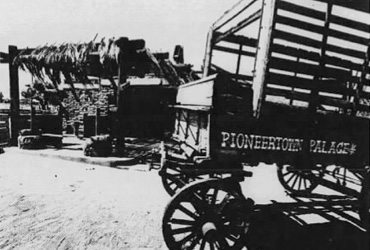 Until recently, I had never heard of Pioneertown, even though I’ve owned a weekend home nearby for five years. Then, a business owner in nearby Yucca Valley suggested I take a drive through Pipes Canyon, a scenic area strewn with boulders as beautiful as those in the park. I took California 62, which is the main drag through Yucca Valley and Joshua Tree toward Twentynine Palms, and turned left onto California 247, known to the locals as Old Woman Springs Road. Pioneertown was built in the late 1940’s as a working community and movie set for Western films and television shows. Today, the community is a tourist spot, just north of Yucca Valley, and continues to be used as a filming location. This road is scenic itself, with its wild, windswept bluffs and tall Joshua trees, but things get even more beautiful when you turn left again onto Pines Canyon Road. As my friend had predicted, I have become smitten with this desert landscape, with views as long and pretty as those of my favorites places in New Mexico. The land remains mostly undeveloped and consists of rolling hills and mesas interspersed with piles of granite boulders. Off in the distance, you see the purple summit of Mount San Gorgonio, Southern California’s tallest peak. After about 10 minutes, the pavement curves to the left and turns into Pioneertown Road. You’re now facing the 20,000-acre Pipes Canyon Preserve, a little known place owned by the Wildlands Conservancy. There are uncrowded hiking trails to a tree lined creek bed with willows and cottonwoods, surrounded by Joshua trees, pinyon pines and manzanita brushes. A few more scenic miles brings the visitor to Pioneertown, a collection of homes on the west side of the road, and an Old West movie set town to the east. 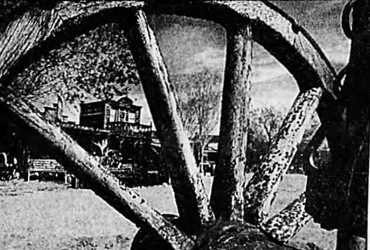 I was delighted the first time I stumbled onto this place, since I am attracted to undiscovered movie history as well as the real history of the Old West. The two strains merge here, where movie actors, some of whom had been actual cowboys, formed a partnership in the 1940s to develop the area as a Western movie location.